How long do you need to work to buy the Big Mac? 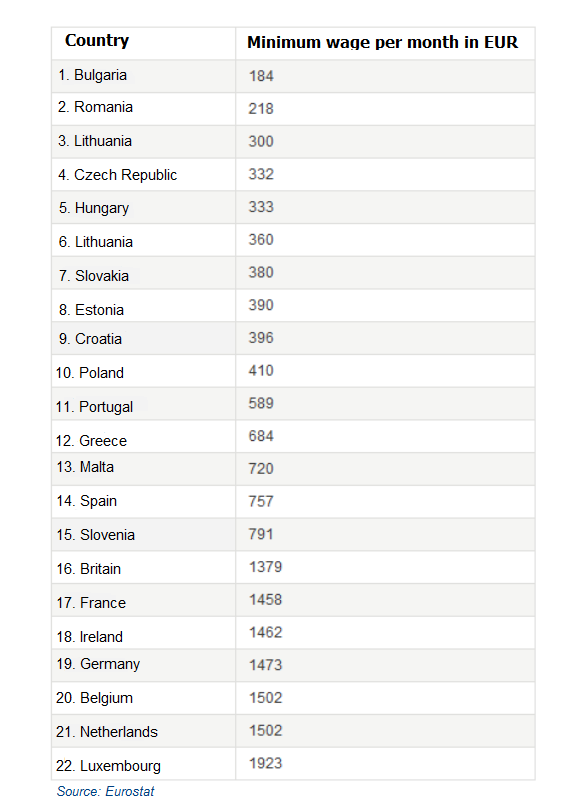 Big Mac index (or hamburger index) is a price comparison of the McDonald's sandwich Big Mac in different countries. The index was invented by the British magazine “The Economist” in 1986 as a guide to whether currencies are at their “correct” level. This economic indicator is based on the theory of purchasing-power parity (PPP), according to which the identical products after the conversion exchange rate should cost the same in different countries. Thanks to this index is possible to detect potential overvaluation or undervaluation of the exchange rate. The Big Mac was chosen for this purpose because it is sold worldwide by an identical procedure. 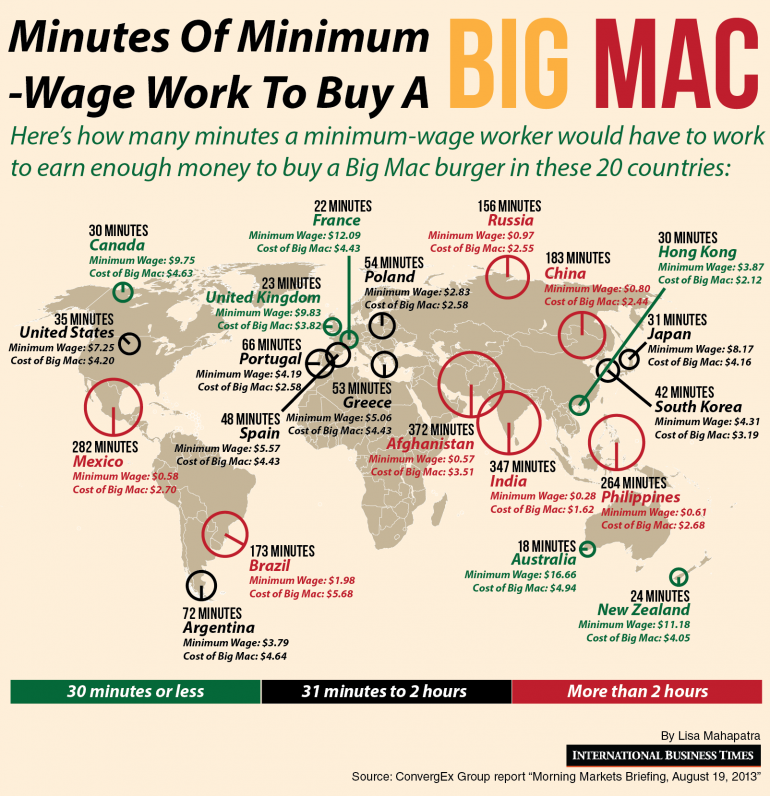 The map below shows for how many minutes of minimum wage work one can earn the Big Mac burger. A man with a minimum wage has to work nearly 6 hours in India or Afghanistan in order to buy one hamburger; in Portugal about 1 hour, while in Australia just 18 minutes is enough. Here in my country, in the Czech Republic, a minimum wage is 9.200 CZK (Czech crowns) monthly, it is about 337 EUR (367 USD). So a Czech man with a minimum wage can buy a burger for approx. 1,5 hour. Luxembourg is the absolute European winner. With the minumum wage 1923 EUR per month (2091 USD) one have to work only about 20 minutes to buy this sandwich. And you? 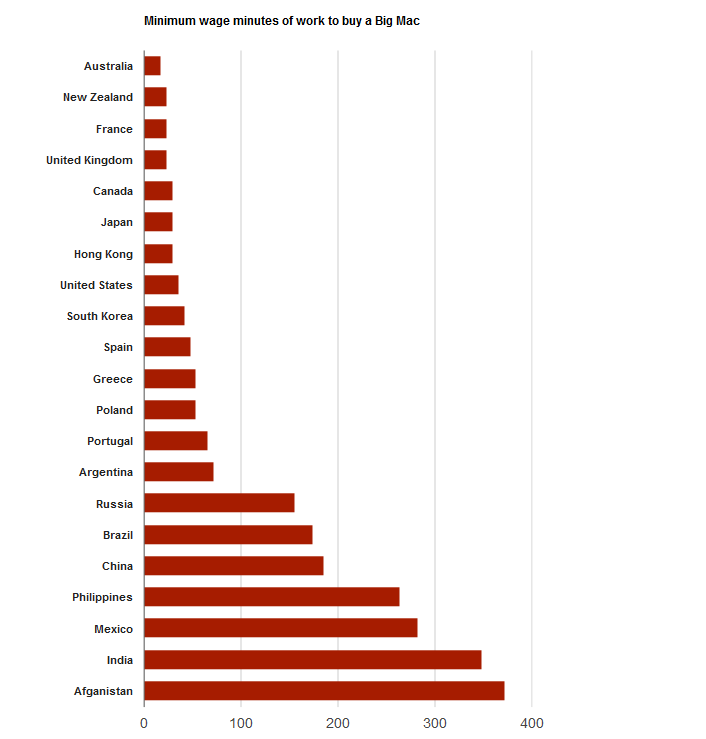 How many minutes do you have to work to buy the Big Mac in your country? 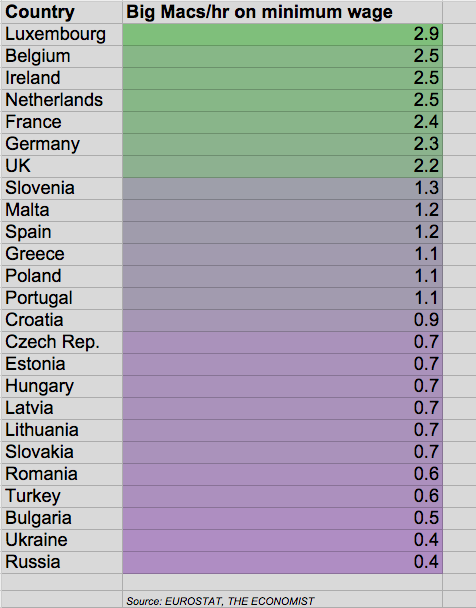 In which country can you buy the cheapest Big Mac? The Big Mac doesn´t have in every country the same price. According to the magazine Economist survey the cheapest Big Mac you can buy in Ukraine (1,63 USD), India (1,75 USD) and South Africa (2,33 USD). And vice versa: the most expensive Big Mac you will buy in Norway (7,76 USD), Switzerland (6,83 USD) and Venezuela (6,82 USD).